Residential | John Canning & Co.
Murals, period decorative painting, and historic finishes in master bath suite. Historic private residences converted for other uses still retain the architectural art, historic murals, and decorative painting that was prized when they were built. 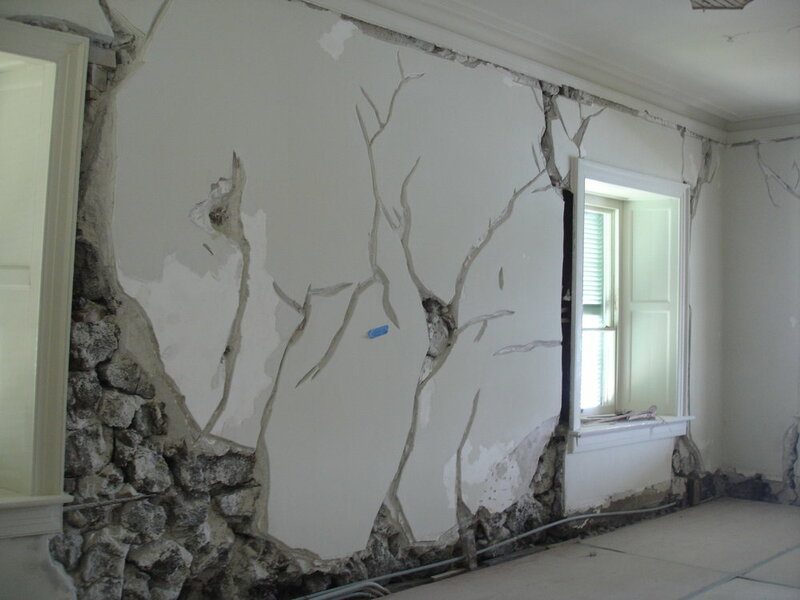 It is our privilege to participate in the renovation of historic properties throughout the country. 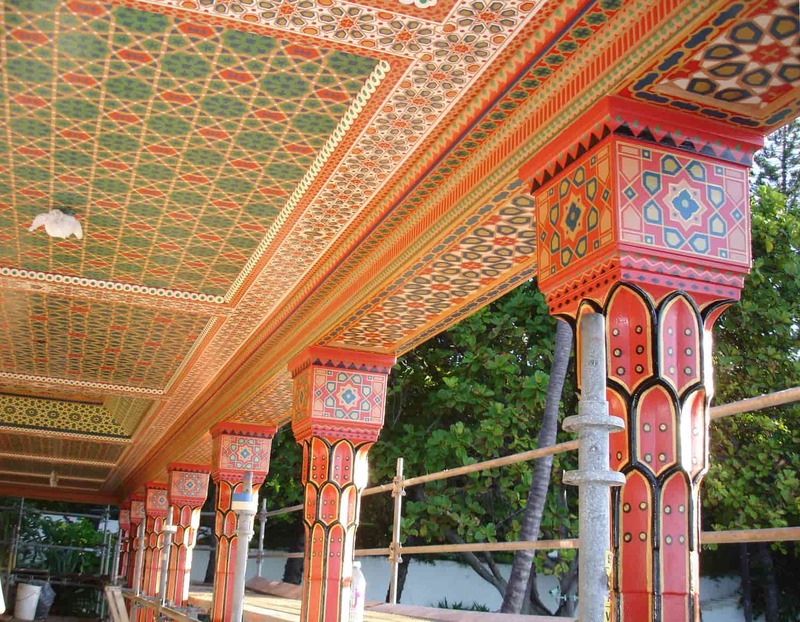 Working with all periods of decoration, we use traditional methods and materials to conserve and restore original design. 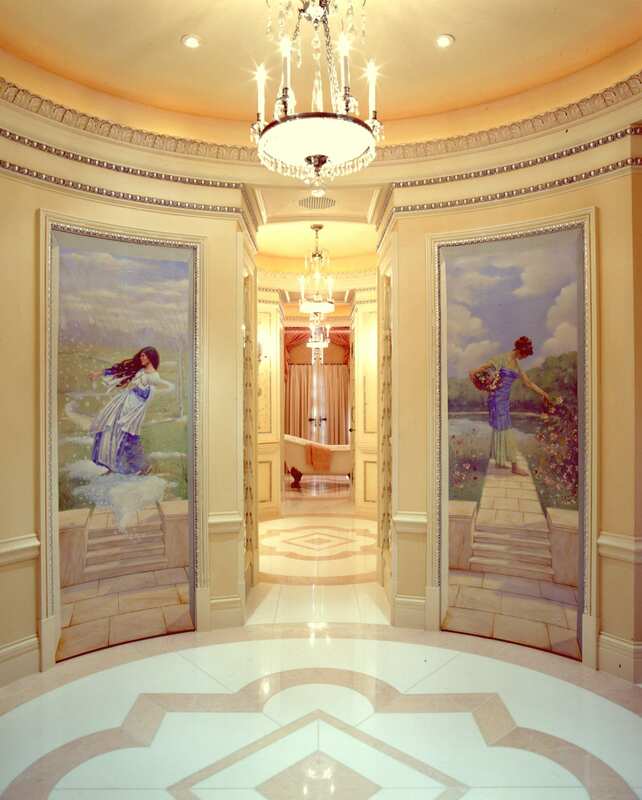 Our new design schemes draw from that knowledge and are often inspired by artists like the Herter Brothers, Louis Comfort Tiffany, and William McPherson. 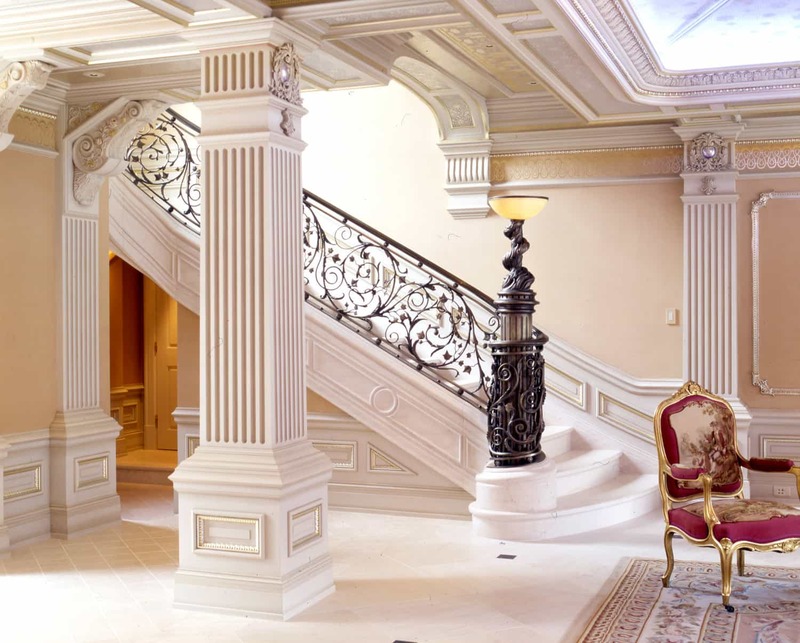 This elegant Fifth Avenue Italianate residence became home to the French Consulate in 1942. 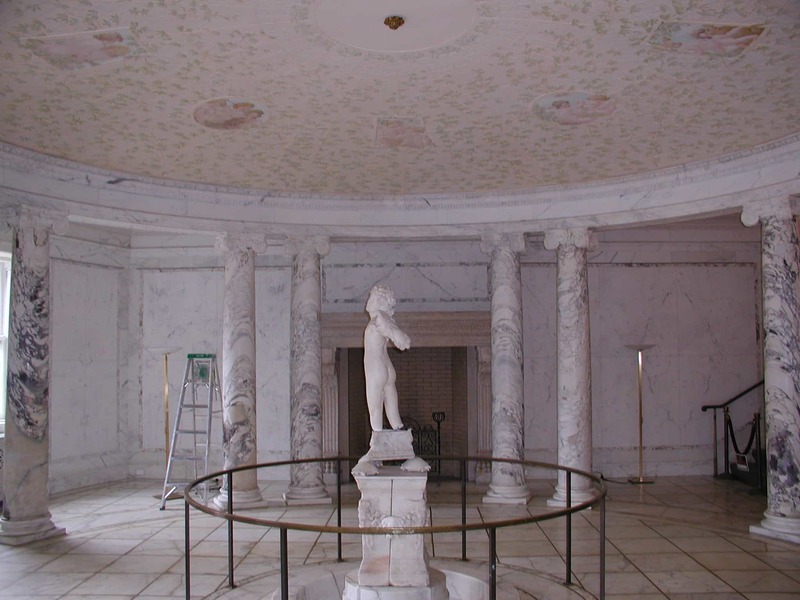 Great care has been taken to preserve the historic decoration and ornamental plaster details. 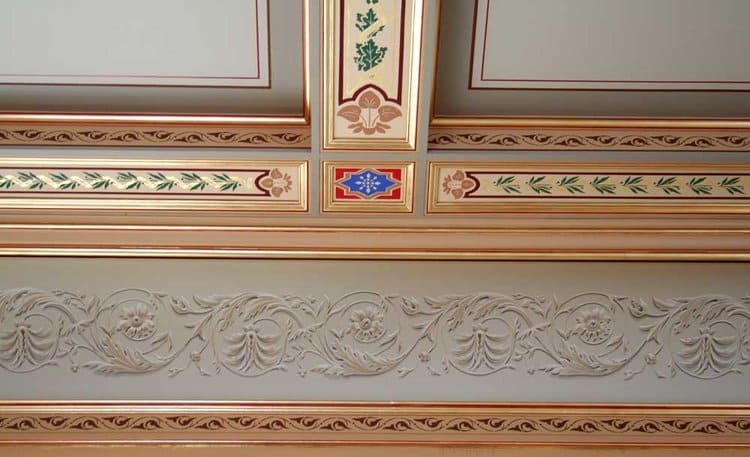 Our team of artists provided decorative painting replication services for both wood and plaster surfaces at a private residence in New Hampshire. 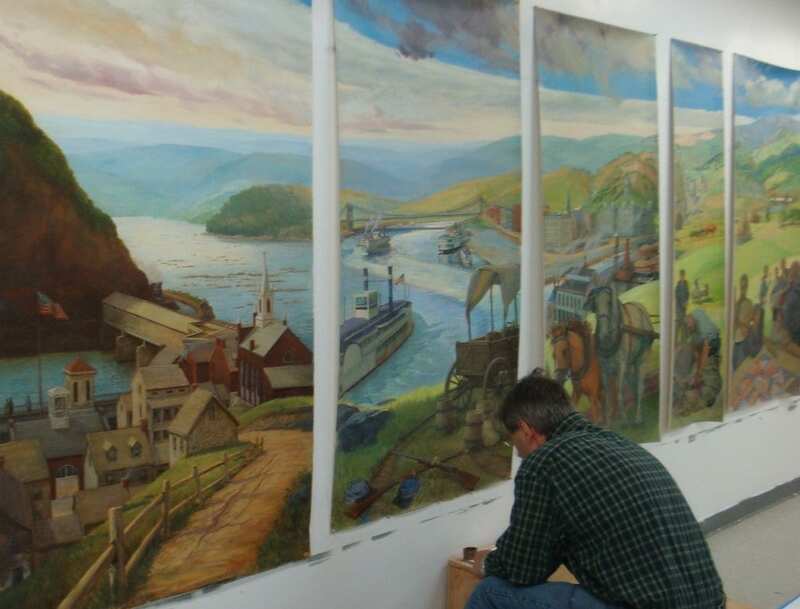 Our team of artists collaborated with Governor and Mrs. Manchin to create new designs and scenic paintings for multiple rooms in the Governor’s residence. 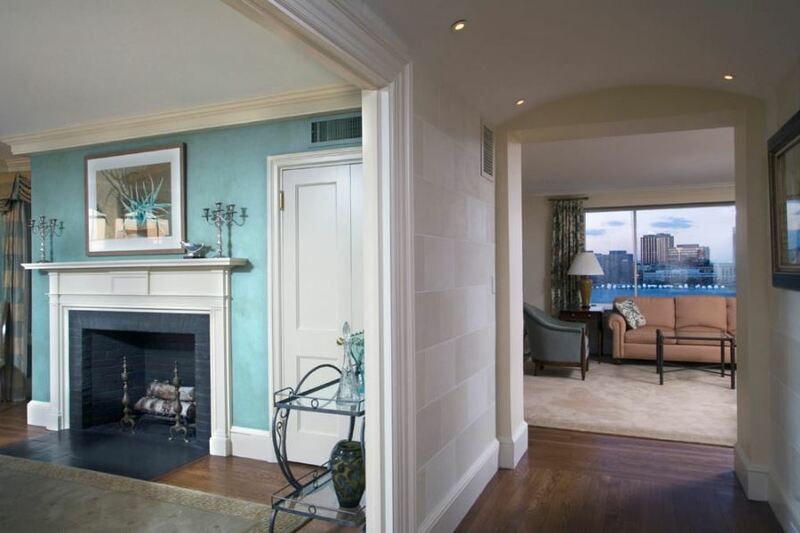 Our skilled artisans provided ornamental plastering for the ceilings and walls at a private Boston residence by creating plaster molds and castings.